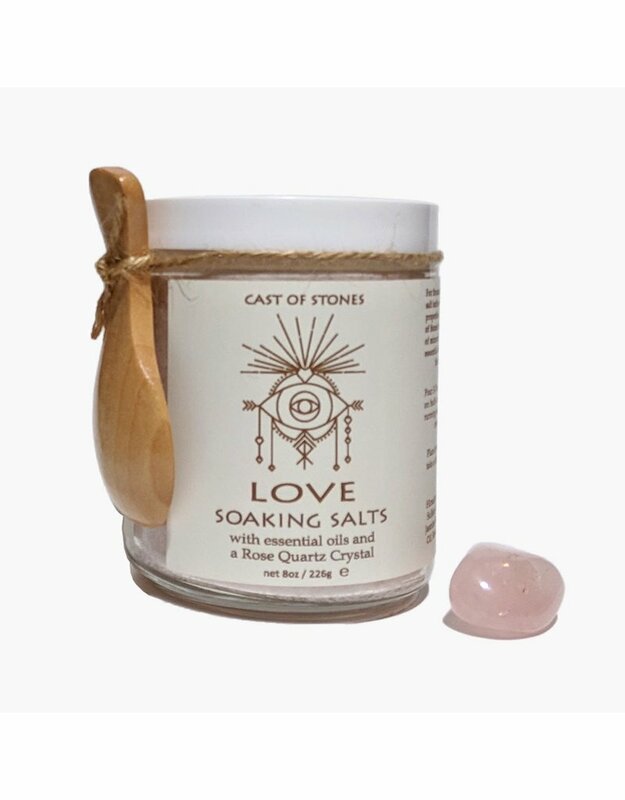 Love Soaking Salt is used to promote self-love, heartache, and releases repressed hurt. The included Rose Quartz Crystal,the stone of love, provides additional love to you and your life. Its energy allows you to feel more balanced within your emotions. Rose Quartz opens your heart to forgiveness and compassion for yourself and others. Ingredients: Himalayan Salt, Dead Sea Salt, Magnesium Sulfate (Epsom Salt), Jasmine Sambac Oil, Ylang Ylang Oil, Neroli Oil, Rose Oil, Geranium Oil, Lavender Oil, Tuberose Oil.